‘Agent Peña, how much do you know about the Cali Cartel?’ was a question directed from the DEA Operations staff in US to Javier Peña, the last words of Season 2 of Narcos (click here for accessing the review of the first two seasons). This story’s entire focus is on the Cali Cartel, which had a very minor role in the Pablo Escobar saga as the patron’s main rival. Javier Peña is now the narrator in the story and is sharing some light moments back home in Texas before leaving for Bogotá. He has now been promoted and he has two Drug Enforcement Administration (DEA) agents under him – Chris Feistl and Daniel Van Ness. This is the first time we get to see Peña as the boss - who plays very tough in front of his subordinates but actually tries to facilitate easier working for them from behind the scenes. It also brings out his courage, being in a more responsible position, he is often seen to take on powerful people within the US Government and the Colombian government. Cali Cartel was very unlike Escobar’s Medellín Cartel – while Escobar channelled his excess funds to the people of Medellín to gain public support, the Cali Cartel ran banks and were in good touch with the elites. The story revolves around the patriarchs of the cartel – the Rodríguez brothers (Gilberto and Miguel), Chepe (their man in New York) and Pacho Herrera. 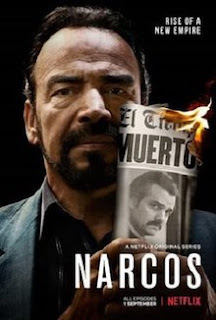 With Escobar’s fall, Cali’s cocaine business flourishes even more but then, Gilberto makes a revelation, that in six months, the cartel is going to surrender to the police under a deal and in these six months, they are going to maximise their wealth. The story showcases a lot of aspects here, such as how the Rodríguez who were so united – start to see cracks in their relationship as a crisis emerges – there is ego clash, the need to show who is a superior boss, among various other things. On the other side there is Peña, who tries his best not to repeat his past of employing any means to justify the ends but sometimes he is forced to give in. There is also the continued story of corruption in Colombia’s police force in Cali and also among politicians, at the very top level. 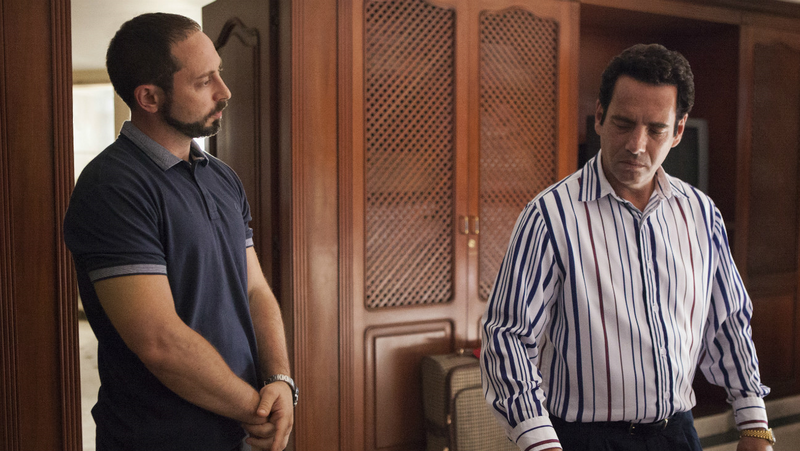 The frequent arguments between Peña and the Stechner (the CIA agent in Colombia) was definitely one of the highlights of the season. Another side to the story is that of a security officer of the Cali Cartel – Jorge Salcedo. Cali uses high end technology and Salcedo is an engineer who is in charge of the security of Miguel Rodríguez. Unlike the traditional security men, does not carry a gun and instead, watches what is happening by tapping phones, going through computer records, etc. He wishes to leave the cartel and start his own firm but is unable to come out of the cartel and the show brings out the problems he faces in his personal life owing to the continued association of his with the Cartel. An aspect that could have been better was to have focused a little more on Feistl and Van Ness who were merely being Peña’s puppets. Even Feistl was occasionally shown to be an intelligent person and someone with a strong sense of judgement but Van Ness seemed a mere addition to the whole plot. However, I would say that this scored on fact checking better than the previous two seasons wherein most of the main characters were in fact real, barring the fact that it was not Javier Peña who was involved in bringing down the Cali Cartel as he had returned to US along with Steve Murphy after bringing down Escobar. The producers of the series had a good story to tell, with characters built with good amount of detail, especially Jorge Salcedo and Javier Peña, but then, one could say that it was a little too short and the mighty cartel fell apart in quick succession. However, out of that, serendipitously, there was extreme pace at which the season was carried out keeping the viewer gripped till the very end. On that note, I would award the series a rating of seven on ten.